Franco Pellizotti started for the last time as a professional cyclist at Il Lombardia, where he crossed the finish line in the 30th position. The Italian retired after 17 years in the peloton. Pellizotti as such finished a career that had its ups and its downs but in which he was often accompanied by the figure of Vincenzo Nibali, with whom he was in two different teams and, supporting him in the high mountains of several races. The rider started his career at the Italian team Alessio and remained there until 2004, when it disappeared, and then moved to Liquigas. With this formation he finished in the eighth GC position of the 2006 Giro d'Italia, where he also won the ninth stage. In 2008, the Italian returned to the race and took the Pink Jersey on the second stage in Sicily, in Nibali's home region. He wore it for four days and finished the race in the fourth place, just two seconds away from a podium position. At the 2009 edition of the Corsa Rosa, Pellizotti won the 17th stage and finished in the third position. Then, at the Tour de France he took the Polka Dot jersey of the best climber on the 13th stage and wore it all the way to Paris, being named the most combative rider of the ninth and 17th stages. 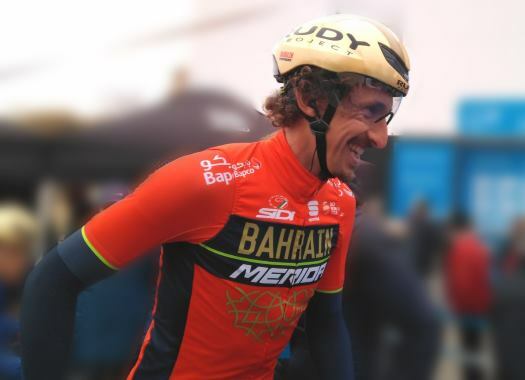 But things changed less than a year later when he was named by La Gazzetta dello Sport on the third of May of 2010 as one of many riders that were being investigated by the Union Cycliste Internationale (UCI) for 'irregular blood values'. The moment that the news arrived, he was preparing to lead Liquigas-Doimo at the 2010 Giro d'Italia, a place that was taken by Nibali. On the 22nd of May, Nibali won his first stage at the Giro d'Italia on the climb of the Monte Grappa and he dedicated a piece of that victory to Pellizotti, who had to stay at home. After the end of the 2010 season, the suspension of the UCI was lifted due to a lack of evidence and the rider started a process to look for a financial compensation from the UCI. Liquigas-Doimo didn't renew the rider's contract for 2011 while the Court of Arbitration for Sport took his case. The court suspended the Italian for two years after it upheld the UCI's appeal, leaving him out of competition until May of 2012 and removing any results from the 17th of May of 2009, which meant that he lost a stage victory and the third place of the Giro d'Italia as well as the stage win, the mountain classification and the combativity awards of the Tour de France. Androni Giocattoli-Venezuela welcomed the rider in 2012 and on the 23rd of June he became the Italian national champion in Trentino. On 2013, Astana announced his signing, where he would rejoin Nibali, but at the time the team was part of the Movement for a Credible Cycling and following its rules the contract couldn't materialise due to his two-year ban. The rider remained at Androni Giocattoli until the end of 2016 and in 2017 he returned to the WorldTour with Bahrain-Merida where he had the main task of helping Nibali on the climbs of the Grand Tours. After ten years, he was once again the roommate of the Shark of Messina and his main support on the mountains, a role that he maintained until his last day as a professional. Nibali wrote a letter for the rider in the Italian newspaper Messaggero Veneto in which he thanked him for being a strong support in many of his victories and in difficult moments. "It was hard this year, so many sacrifices we made together at the training camp of San Pellegrino and then my fall at the Tour ruined everything," the rider wrote. "But you were there to encourage me, to inspire me to believe in the World Championships. "A great rider, good until the last ride, because you like to ride strong like that, like you did in Innsbruck, you are one of the great riders. What can I wish for you now Pelli? To make a great career as a sports director and to be there under the podium to celebrate my next successes. 'Director', because now I get to call you that, thanks for everything and good luck. I hope to keep you entertained (and to win) again."